If you're planning a trip to Africa, it's likely that you're intending on visiting more than one place—whether it's two spots within the same country or a tour of several different nations. Often, the distances between your chosen destinations will be vast—for example, it's 1,015 miles/ 1,635 kilometers from Cape Town to Durban. As a result, driving can take up a lot of your precious vacation time. In many African countries, the roads are poorly maintained, making overland journeys even more arduous. In some places, corrupt traffic officers, livestock on the road and high accident rates add to the stress of traveling by car—making domestic flights an attractive alternative. If you plan to fly internally, the best option is often to book with a national airline. Internationally, African airlines have a bad reputation for safety, but many of them (like South African Airways and Ethiopian Airlines) are indistinguishable from first-world airlines in terms of service. Punctuality can be a problem though, and flights are sometimes arbitrarily canceled—so make sure to leave plenty of time for catching connecting flights. To avoid the inconvenience of your chosen airline going bust before your scheduled travel time, try to fly with the national carrier where possible—budget and private airlines come and go quickly in Africa. In this article, we list the national airline for each African country, in alphabetical order. Routes are subject to change and should be checked carefully before booking. Countries without an official airline are not listed, however, private carriers may be available. ​Air Algérie is the national airline of Algeria. It flies to 32 domestic airports and also offers flights to 42 international destinations. TAAG is the official airline of Angola. It offers 12 domestic routes as well as flights to cities throughout Africa, Europe, and Latin America. ​Air Botswana is the flag carrier of Botswana. It offers four domestic routes (to Francistown, Gaborone, Kasane, and Maun), as well as flights to South Africa, Zimbabwe, and Zambia. Air Burkina is Burkina Faso's national airline. It offers one domestic route (between the capital, Ouagadougou, and Bobo-Dioulasso), as well as routes to seven other West African nations. TACV is the national airline of Cape Verde, with 10 domestic destinations on offer. It also offers several international routes, including flights to Paris, Lisbon, and Amsterdam. Camair-Co is the flag carrier for Cameroon, flying to seven destinations in Central and West Africa. Air Côte d'Ivoire is the national carrier for the Ivory Coast. It offers flights between six domestic destinations, as well as several international ones throughout Central and West Africa. Congo Airways is the official airline of the DRC, serving six domestic destinations. Air Djibouti is the flag carrier for Djibouti and is sometimes known as the Red Sea Airline. It offers connections to Ethiopia, Somalia, and the Middle East. EgyptAir is the country's national airline and one of the biggest carriers on the continent. It offers flights to more than 75 destinations throughout Africa, Asia, Europe, the Americas and the Middle East, including several domestic routes. Eritrean Airlines is the national carrier for Eritrea and offers connections from Asmara to Khartoum, Cairo, Jeddah, Dubai, and Milan. Ethiopian Airlines has one of the most extensive networks in Africa, offering services to 57 destinations across the continent. The airline also flies to an array of international airports in Asia, Europe, the Middle East and the Americas. Kenya Airways is the country's national airline and another major carrier in Africa. As well as numerous destinations in Asia and Europe, the airline serves 51 destinations across the continent. Libyan Airlines is Libya's flag carrier, offering flights to more than 20 domestic and international destinations. Air Madagascar is the national airline of Madagascar. It flies to five domestic destinations from Antananarivo. It also connects passengers to Seychelles, Grand Comore, Mayotte, Reunion, and Mauritius, as well as destinations in France and China. Malawian Airlines offers domestic flights between Lilongwe and Blantyre, as well as services to major Southern and East African cities like Johannesburg, Dar-es-Salaam, and Nairobi. Mauritania Airlines International is the flag carrier for Mauritania. It serves 10 destinations across West and North Africa. Air Mauritius has an extensive domestic and international network with flights to many destinations in Europe, Asia, and Australia. Royal Air Moroc is the national airline of Morocco. Sometimes referred to as RAM, is it another major African carrier, serving over 80 destinations in Africa, Europe, America and the Middle East. LAM is Mozambique's national airline, with 10 domestic destinations and flights to five major Southern African cities including Johannesburg, Luanda, and Nairobi. Air Namibia flies to six Namibian destinations, and to seven in Southern Africa. It also offers a regular non-stop service to Frankfurt, Germany. RwandAir serves several destinations within Rwanda and throughout West and East Africa. It also offers direct flights to London, Brussels, Mumbai, and Dubai. STP Airways is the flag carrier of this West African archipelago. It connects São Tomé island with Príncipe island and also operates a regular service to Lisbon, Portugal. Air Seychelles is the national airline of Seychelles. Through its partnership with Etihad Airways, it offers flights to 87 destinations across the world. South African Airways is the flag carrier for South Africa and one of the largest airlines on the continent. It connects 15 South African destinations, 25 African destinations and nine international destinations - including London, Perth and Washington, D.C.
Sudan Airways flies from Khartoum to four destinations in Sudan. It also serves eight other cities in Africa and the Middle East, including Cairo, Addis Ababa, and Jeddah. Swaziland Airlink is the national carrier for Swaziland. It offers connections to destinations throughout Southern and East Africa, thanks to alliances with South African Airways, South African Express, and South African Airlink. Air Tanzania provides flights to domestic destinations like Arusha, Kigoma, and Dar-es-Salaam. 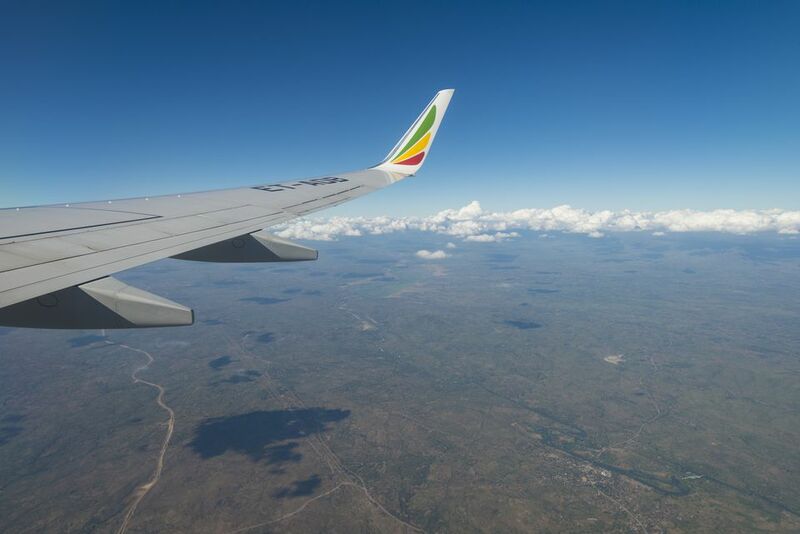 Through codeshare agreements with Air Uganda and Air Zimbabwe, it also offers connections to cities in East and Southern Africa. Tunisair is the national airline of Tunisia. It offers services to destinations across Africa, Europe, and the Middle East, as well as a single flight to North America (Montréal). Air Zimbabwe flies between key Zimbabwean destinations including Harare, Bulawayo, Kariba and Victoria Falls. It also connects to Johannesburg and Lusaka.